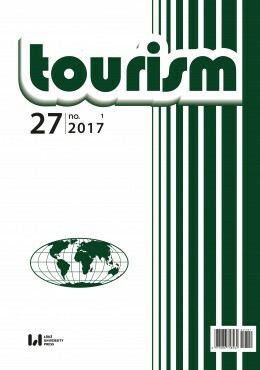 in addition to tourism and recreation, there are articles on spatial aspects of the hospitality industry. it is reviewed by competent professionals from Poland and abroad. all articles by non-English speaking authors are proofread by a native English speaker. Tourism publishes articles not longer than 4000 words, research notes up to 2500 words, and reports and book reviews not exceeding 1000 words. The papers should be submitted in Polish and English. Authors should send two copies in Polish and one in English and the texts recorded on a CD to the editors’ address. The text should include figure captions, keys and tables in appropriate places, with the figures attached as separate documents. The article should include an abstract (up to 70 words) and ‘words’. On the first page authors should place their first name and surname, their workplace and its address, and their e-mail address. Sources quoted in the text should include the name of the author (without initials), the year of publication and the page number referred to, e.g. Kowalski (1994) or (Kowalski 1994). An alphabetical index of quoted publications (not numbered) is to be placed at the end of the paper under the heading Bibliography. Each entry should include the following: author’s name, initials, year of publication, title of the article or book, name and number of the journal (or the joint publication where the article comes from), the publisher and the place of publication. Finally the author should give the page numbers where the article can be found. Each of these elements are to be separated with commas – brackets and colons are not to be used.